In a sense, growing grapes is like growing any other fruit or vegetable. The tasks are to get sufficient nutrients to the crop and to avoid disease. The question I’m trying to probe is whether good farming and vineyard management does more than produce a sufficient quantity of healthy, well-ripened grapes. 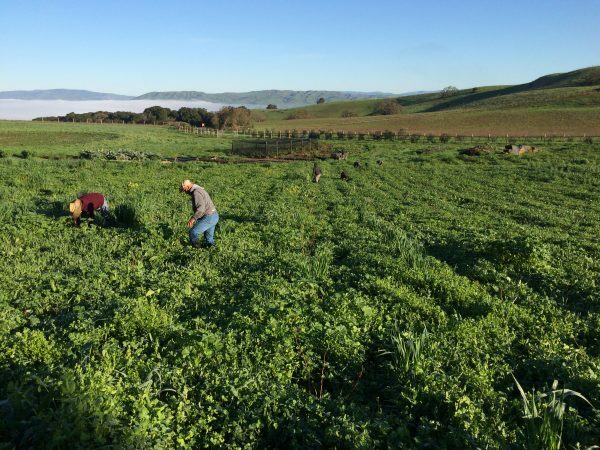 If the answer is no, then what winemakers or viticulturists do in the vineyard is nothing more than what good fruit and vegetable farmers do. But most fruits and vegetables will not find their way into a beverage like wine that is unique and distinctive, with aesthetic qualities that can produce extraordinary, life-changing experiences. D.F. : Is growing distinctive, high quality grapes largely about making sure bad stuff doesn’t happen. Or are vineyard practices specifically designed to produce that distinctiveness and aesthetic quality? R.G. : It’s certainly about both. You have to make sure that bad stuff doesn’t happen, i.e. your mildew is controlled, vines are not overcropped, each cluster is receiving an optimal amount of sunlight, etc. And while there are certainly things that are very important in educing the expressivity of a site, hence, complexity in the wine – evenness of ripeness achieved by crop thinning, shoot positioning, etc. 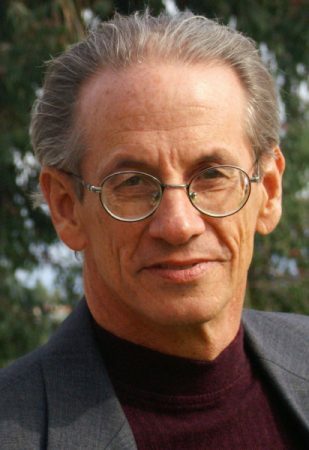 – it is also the case that virtually all of the distinctiveness and aesthetic quality of a wine is likely mostly linked to the site itself, and how lucky/thoughtful the vineyardist has been in making his initial site selection; eschatologically speaking, it’s as if you can’t necessarily redeem your viticultural soul simply with good works, but rather, farming a grand cru is something like living in a state of (likely undeserved) grace. (How you ended up there is always a great mystery.) Having said that, there are certainly some practices, viz. biodynamic/organic farming, non-tillage, etc., that enrich the health of the soil biome and work to amplify the unique characteristics of the site. D.F. : I would imagine choice of vineyard site is one of the crucial decisions a producer must make. 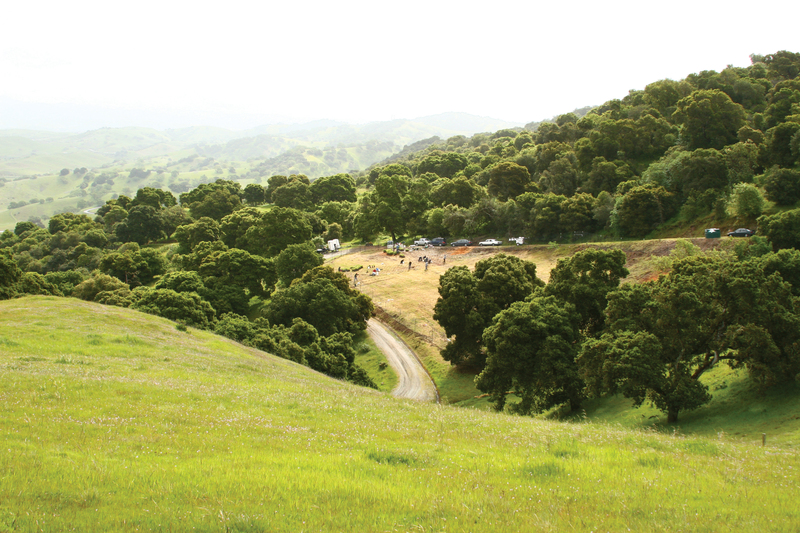 You recently have begun to develop the Popelouchum site near San Juan Bautista. 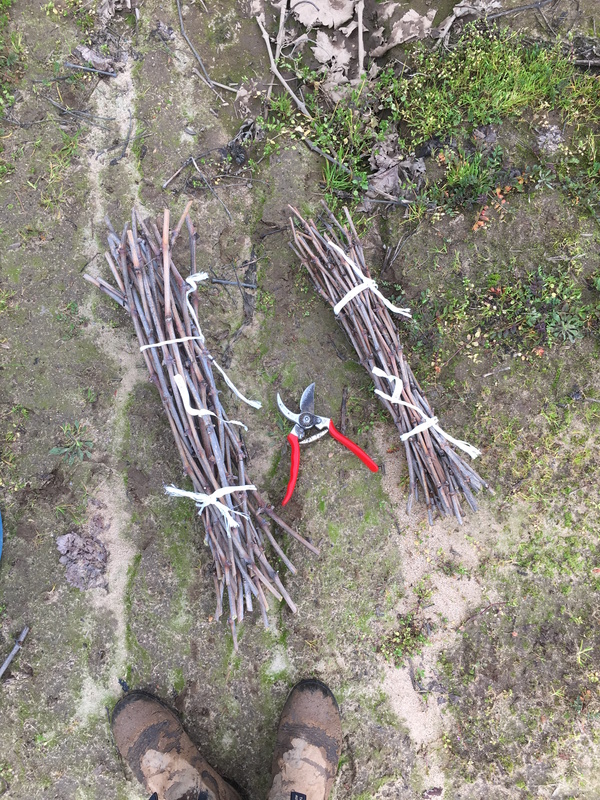 What do you look for when you are assessing vineyard sites? R.G. : As mentioned, above, the choice of vyd. site is the most crucial decision a producer must make. I must confess that I am still a bit of a neophyte in assessing true agronomic virtue, but to a first approximation, I’m looking for physical and geo-chemical properties that create conditions for better homeostasis in the plant. I’m looking for appropriate water-holding capacity and fertility – Goldilocks-like, not too much, not too little – and for the right balance of clay – again, too much is problematic, too little likewise. Soils that are rich in minerals as well as those that have a lot of internal surface area are also quite interesting – schistous, calcareous, granitic, volcanic, all quite interesting. Silty, sandy loam not so much. In much of California I feel that north and east facing slopes are particularly interesting to mitigate the effects of bright afternoon sun and our very dry climate. Fog, alas somewhat of a vanishing commodity, is also particularly useful in preserving finesse in wines. In my own case, I happened to dream about Popelouchum before I actually saw it, and once I saw it, it was clear that it was an incredibly special place. (Claude and Lydia Bourguignon, agronomists to the viticultural stars seemed to confirm this observation for what it’s worth.) But this – having a prophetic dream – is not an entirely reliable method for making a vineyard selection. D.F. 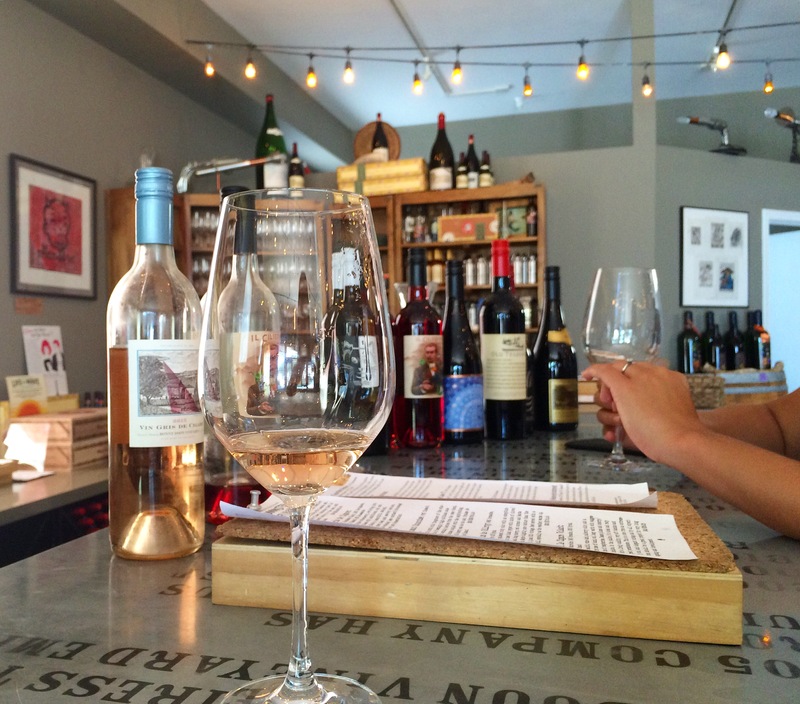 : Do you have a philosophy of winemaking—a style that you’re aiming for? How would you describe that? R.G. : Elegance and intelligence, to use the parlance of T.S. Eliot, is what I seek. Again, the main tenet is that if you are growing grapes that are exceptionally well-suited to the site, you are not compelled to make heroic interventions in the winemaking process – correcting the acidity, potential alcohol, etc. Having said that, I am gradually inching toward the more radical view that a great site (such as Popelouchum, for example) might enable you to grow a fairly wide variety of grapes successfully (with the likely exception of Pinot noir). I think that as tasters we do get imprinted on certain styles of wine that we continue to return to. In my case this is Burgundy. I find that the wines I am most consistently drawn to are ones that have a sort of weightlessness and power (or persistence) at the same time. There is also a sense of dimensionality to the wine (whether you call this “minerality” or “life-force” is open to discussion. But I am particularly drawn to wines that are capable of great ageability, as well as show the ability to “move” or dance and evolve from the time they are opened. D.F. : At what point in the winemaking process do you decide on what you’re aiming at regarding style? R.G. : You can have a certain preconception of what kind of style you are aiming for with a given wine, but ultimately, it is the conditions of the grapes at harvest that will determine your style. (Though, if you’ve been paying attention, you have theoretically been gently nudging the grapes in one direction or another throughout the season; crop reduction or restriction, deficit irrigation being techniques for boosting “concentration” and potentially creating more even ripeness. For the record, most of my career I’ve been squarely making vins d’effort, rather than vins de terroir, the former being those on which the winemaker has imposed his stylistic predilection to a far greater extent (though you can think of this distinction as a bit of a continuum). Someday (soon), I aspire to make wines that could truly be characterized as vins de terroir, wines more expressive of place, where I will be more focused on revealing the characteristics of both vintage and site, and have a much lighter hand as far as my own stylistic preference. D.F. : Do you think of wine as expressing something? If so, what? R.G. : Wine is a bit like music; it’s not necessarily “about” anything. But great wine, like great music, should touch the emotions. How is that done? Maybe in its ability to suddenly move into strange and unexpected directions, or expressing some sort of tonality/harmony that resonates deeply inside of us. Inspiration touches us when it reveals possibilities that we never dreamt of; a great wine does this easily. I also believe – and forgive the slight New Ageyness of this – there is something like the taking of the holy sacrament when one consumes a vin de terroir. You are taking part of Mother Earth, a digestible part that is deeply nourishing you on any number of levels; I think this can’t help but provoke an emotional resonance. Written by a nice Jewish boy. D.F. : I’ve heard you say that originality is important to you. Could you elaborate on that? What do you mean by originality and why is it important? D.F. : How does viticulture help bring out the aesthetic properties (e.g. beauty, elegance, finesse, intensity, etc.) in a wine? Do these concepts play a role in your decision-making? R.G. : As mentioned before, a vibrant soil microbiology seems to amplify soil characteristics, which in turn seems to produce wines of far greater beauty, elegance, finesse, etc. A vibrant microbiology also seems to inure plants against disease and untoward stress. Growing grapes on the appropriate site largely obviates the need for heroic interventions – acidulation, dilution of alcohol, etc. – which in turn, helps to produce a more seamless and harmonious wine. D.F. : Does imagination come into play in managing your vineyards? D.F. : How much effort and ingenuity in the vineyard does it take to make a wine that expresses terroir? R.G. 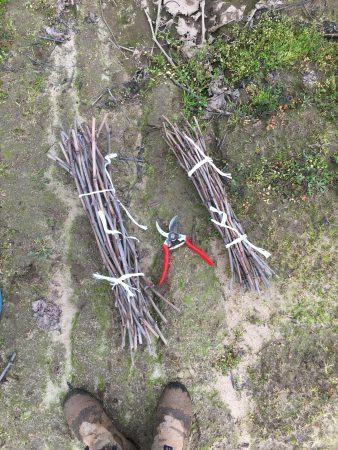 : Again, I believe that most of the effort and ingenuity is done in the set-up of the vineyard – from the varieties chosen to vine spacing to the selection of rootstock to the method of vine conformation (head-training vs. cordon, etc.) I think that most of the ingenuity is a matter of figuring out how to do the right thing for the grapes in a way that is not insanely cost-prohibitive. Farming organically (or biodynamically) in a successful manner is often a question of managing your calendar thoughtfully and executing things like weed control (or mildew control) in a timely fashion. So maybe as much organizational skill is needed as ingenuity. D.F. : Do you think the use of technology in the vineyard (e.g. mechanical pruning, mechanical harvesting, etc.) is as effective as low-tech methods at maintaining the quality of the grapes? R.G. : I don’t think it is, but to achieve wines at a certain price-point, the implementation of technology is seemingly a necessity (also, if immigration policy changes, it is a foregone conclusion.) I try to have a n open mind as far as the deployment of technology in viticulture; there are certain things that machines can do “better” than human beings, i.e. mechanically sorting, but it is my own observation that too much reliance on technology – kind of like using special effects in film-making – may somehow detract from the hand-made quality, the slight imperfections that I think may need to be retained to elevate a product to a higher level of complexity. I’m not sure if super-strict criteria for mechanical sorting may end up giving you something like a photo-composition of a “beautiful” person, one almost too beautiful and perfect to be real. D.F. : I’ve heard it said that pruning is an art? Do you agree? What is it about pruning that requires creativity or imagination? D.F. : Because different winemakers who share the goal of expressing terroir will make quite different wines using the same grapes, presumably there must be multiple ways of expressing terroir. Do you have a specific idea of what best expresses the terroir of a vineyard or region? Is there something that you’re looking for such that you can say “that’s it” when you taste it developing in the wine? R.G. : Well, it is far, far too early for me to be making pronouncements on whether I’ve successfully captured or represented the terroir of any vineyard. (Many winemaking families spend countless centuries in this discovery practice.) So, I will most certainly never get to “best expression of terroir.” But, one can certainly observe and apprehend when you’ve achieved something like the expression of “minerality” or “dimensionality” in a wine – in other words, a quality that is demonstrably not just from the grape variety or from the winemaking technique, but somehow arises from the site/soil itself. 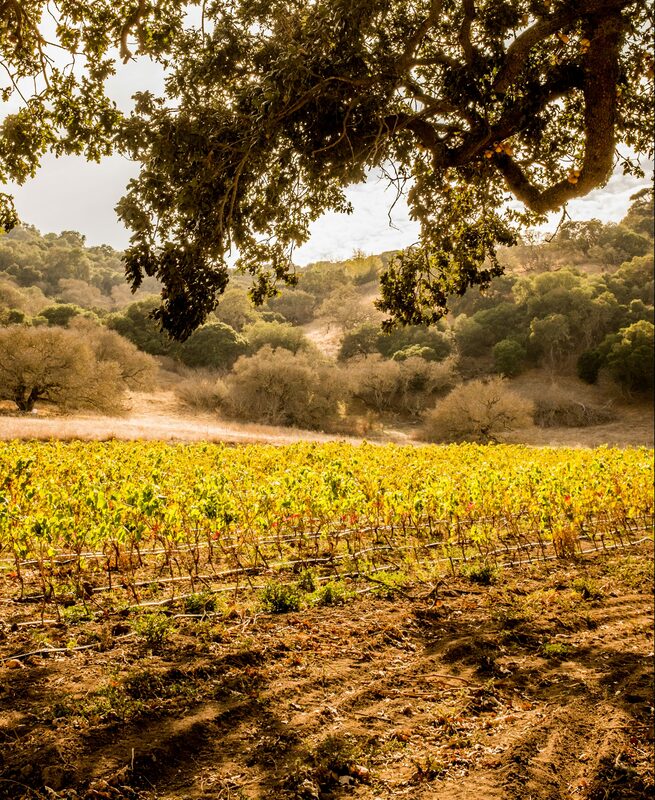 It is a bit of a paradox when you think about terroir as the “eternal” part of the vineyard equation, that which transcends the hand of the human being, but also is clearly something that is open to multiple interpretations. Different growers within the same grand cru like le Chambertin or le Musigny may well favor one interpretation over another, but I do believe that some interpretations are more valid or at least more original than others – ones that are most uniquely themselves, and not so much pandering to say, a more “international style.” (That I regard as the willful obscuration of terroir.) A grower may well lose the thread for a while – I think about Comte de Vogüé wines in the 1980s when they hired a charlatan consulting enologist. And it goes without saying that we are living in a very dynamic world engendered by global climate change, a phenomenon which itself is endangering the expression of terroir. D.F. : I’ve heard winemakers talk about “reading the vintage” or “reading the vines”. Can you talk about your thought process in reading the vintage or vineyard, and especially discuss the role of intuition vs. science. R.G. : Alas, I was a semi-permanent liberal arts major in school, so I think that I temperamentally favor the role of intuition vs. scientific reasoning. Arguably the most interesting wines I ever made were in my earliest vintages when I understood essentially nothing, but I was somehow more connected to the Universal Intelligence. I know that sounds pretty New Agey, but I don’t have any better explanation. Maybe it has to do with being blessed with the so-called Beginner’s Mind. In this case, I was able to achieve that because I truly was a Beginner. Put another way, I don’t think that you can scientifically reason yourself to great wine; having an understanding of scientific principles can certainly help, but some mysterious other thing is needed to ever really approach real greatness in wine. D.F. 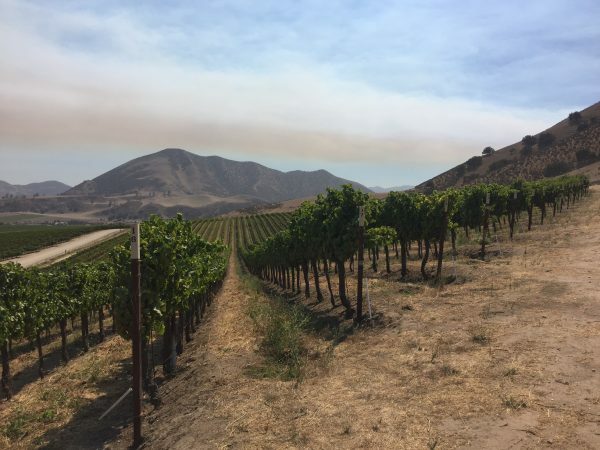 : I’m sure when you’re in the vineyard you’re always looking for signs of disease, varmints, and the degree to which vines and fruit are developing as expected. What else are you looking for such as other changes that you could take advantage of? R.G. : Sometimes you just get a crazy idea that somehow works to your advantage. Years ago, it was clear that a certain block of Loureiro grapes in our vineyard in Soledad were so behind schedule in ripening that there was absolutely no possible way they could potentially ripen during the growing season. (This was already now early October and they were really far off from ripening.) I directed my colleague to drop half of the crop on the ground immediately to accelerate the ripening process of the fruit that remained. The fruit that stayed on the vine did pick up its ripening pace and we harvested it in late October at maybe 21 Brix barely, just limping over the finish line. Maybe a week after that – it still hadn’t rained – I observed the fruit that we had dropped on the ground, which had been sitting there for perhaps three weeks or so, was still more or less intact, with no discernible sign of degradation. (We didn’t disc the field, rather mowed, and had left a relatively intact straw mulch on the ground.) In fact, these stragglers, which were just showing the faintest traces of dehydration, were sweeter than the fruit we had harvested from the vine and had very intense flavor development. We ended up picking them up off the ground and using them in the final blend; the resultant wine was absolutely stellar. Then, there are sometimes the more prosaic last minute adjustments in our program based on the qualities we observe in a particular batch of grapes, where a red grapes might truly do better as a pink than the red we had intended, a particular batch of grapes might be better suited to a sparkling wine than to a still – these sorts of à la minute improvisations happen with some degree of regularity. D.F. 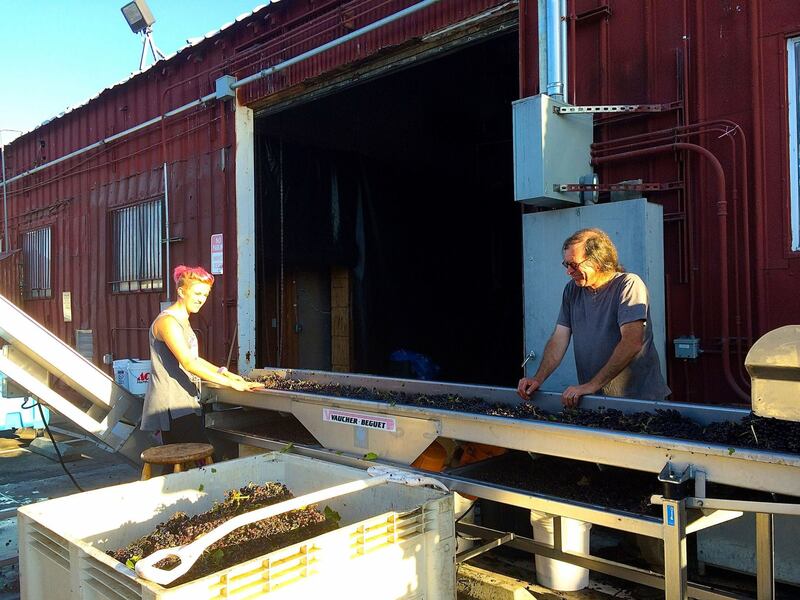 : What part of the winemaking process requires the most creativity? R.G. : That’s a tough one, but I think that there are opportunities to insert creativity into almost any aspect of the winemaking or even wine selling process. I’m not sure if this qualifies as creativity, but an incredibly useful skill is learning how to not act and not intervene, especially if that is something that you’ve done most of your career. (There’s probably an analogy to parenting in there somewhere.) Maybe where creativity it is most needed is discovering/creating the language needed to talk about what it is that you’ve possibly achieved. Wine language has grown pretty impoverished, I think, becoming more Babel-esque with every passing year. If you (say, hypothetically) produce a wine that is rather different than anything else out there, how do you begin to communicate a sense of its value? Robert Parker’s genius was realizing that wines could be compared to school exam scores, thus creating a language that everyone understood, even if it was utterly misguided. D.F. 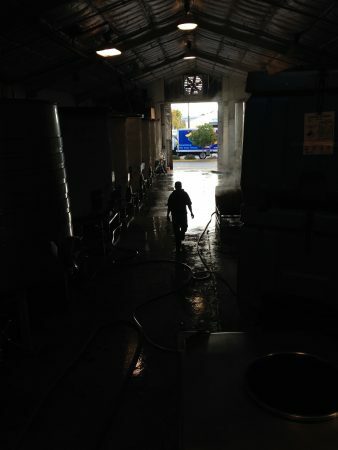 : Describe some of the things you do in the winery to bring out terroir in your finished product. R.G. : As far as enhancing the expression of terroir, that’s really work that is primarily done in the vineyard – biodynamic practice, yield reduction, judicious thinning, dry-farming, precision of harvest date, etc. In the winery, it is mostly a function of things that you don’t do, or it’s a matter of figuring out what is the least amount of intervention that you can possibly do and still maintain a product with essential integrity, i.e. expressive of its terroir and absent of major flaw. As with cooking, it’s a function of not overly complicating the dish, and not over-saucing it. D.F. : Do aesthetic concepts such as elegance, harmony, character or finesse play a role in your decision-making process? Are there other aesthetic concepts that you want to mention that are important to you? D.F. : You’ve done a lot of experimenting with various techniques for aging wine. How intentional are these experiments? That is to say to what degree are you able to anticipate the results of the experiment? And how do you define success? R.G. : In candor, some of these experiments were more intentional than others, and we haven’t always experienced anything like the results we expected, but in most every case, we’ve learned something useful, and that of course is a definition of success. We’ve experimented with aging the identical wine in different types of vessels – large format barrels, smaller barrels, wood tanks, vs. glass demijohns, etc. and have observed wildly differing results in the expression of the final wine. One most interesting results is that we found that the imposition of a strong stylistic element, such as what one achieves by the deployment of glass demijohns – this adds a lovely textural element as well as a strong savory element, complexity, and generally works to better integrate a wine, but counter-intuitively, seems to work best in wines that have relatively less dense flavor profiles, i.e. pinks and whites, rather than full-bodied reds. It seems that denser wines carry their own strong center of gravity, and just need to be handled a bit more circumspectly. D.F. 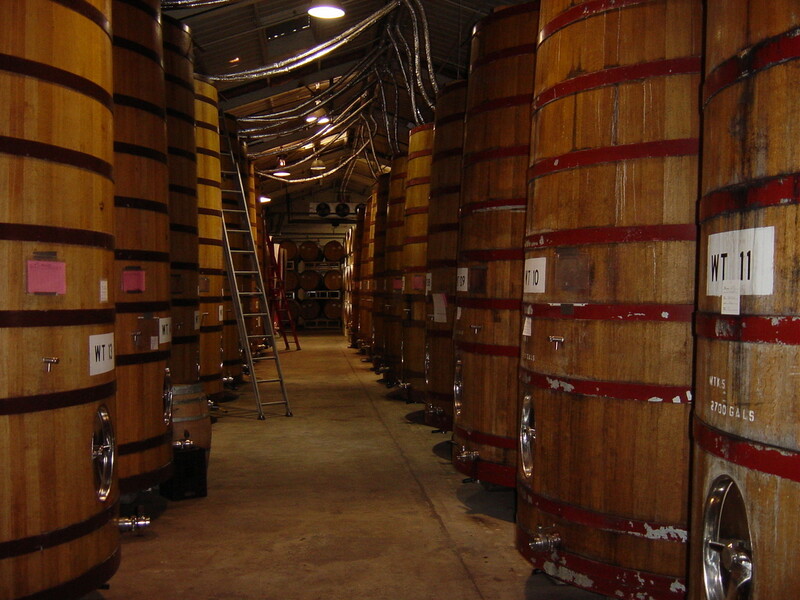 : How important is tasting to the winemaking process? D.F. : Does the sort of tasting you do in the winemaking process require imagination? R.G. : Have never quite thought of it that way; it certainly requires enormous concentration, and occasionally I find myself in an almost trance-like state, following a certain kind of internal rhythm, iterating various blends according to some personal algorithm. It’s a matter of looking for a sort of internal harmony or resonance. I’m not a musician but I imagine that there is something similar that happens when a group is jamming and a player finds him/herself in a particularly inspired groove; some part of his/her brain has taken over, and it is well beyond the conscious mind. D.F. : What must a wine be like to be beautiful? R.G. : I’ve said it now in so many different ways, but I do believe that beauty is linked to originality, to complexity as well, to be sure, and ultimately to an experience that takes us out of ourselves. As I’ve mentioned, vins d’effort, or ones where the winemakers stylistic efforts are so visibly discernible, come off to me like slightly clumsy stagecraft; one never completely buys into the illusion of entry into an alternate reality, and as pleasant as they are, don’t really move us. But a great wine, expressive of terroir, creates its own perfect, seamless world, to which the taster must surrender, and allow him/herself to become transported/transformed. I think that a wine that can engender the desire in the taster to thoroughly let go, as it were, is one of very rare beauty. Thanks a lot. Its nice to read the thought of Prof. Dwight Furrow on wine and its effects.